Life has been quite strange lately. We bought our "forever home" back in August, but it needs a lot of renovating and for one reason and another the building work is taking forever. 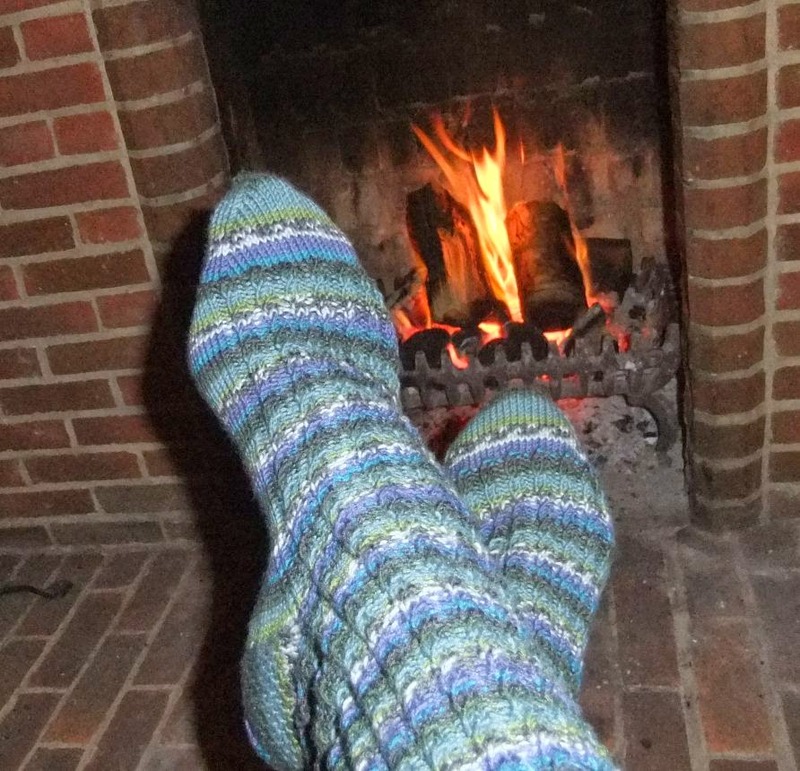 It's been hard to settle to anything or feel inspired to knit, so I was pleased to be asked to be part of Debenham's DebsKnittingChallenge. 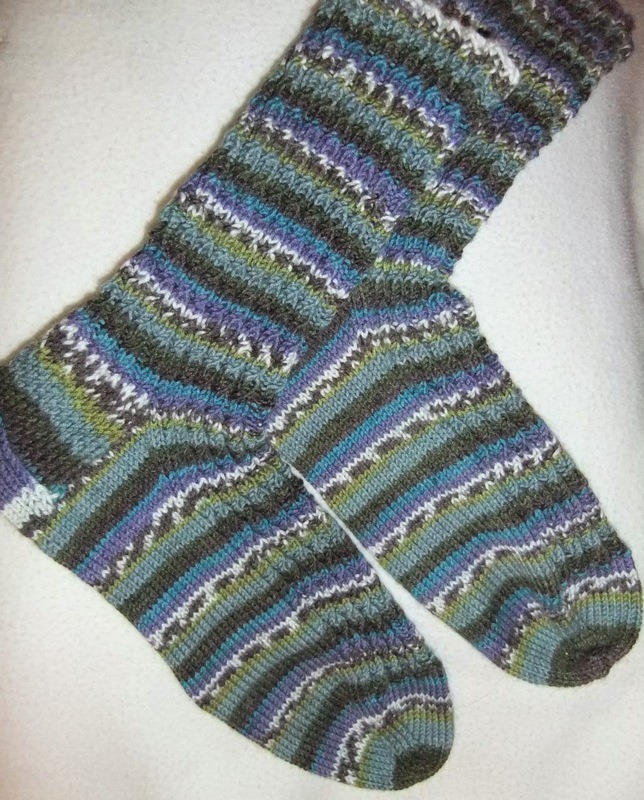 I was asked to knit something for "the man in my life" so was able to hand over the decision making - he chose this lovely self-patterning yarn for me to make him a pair of socks. 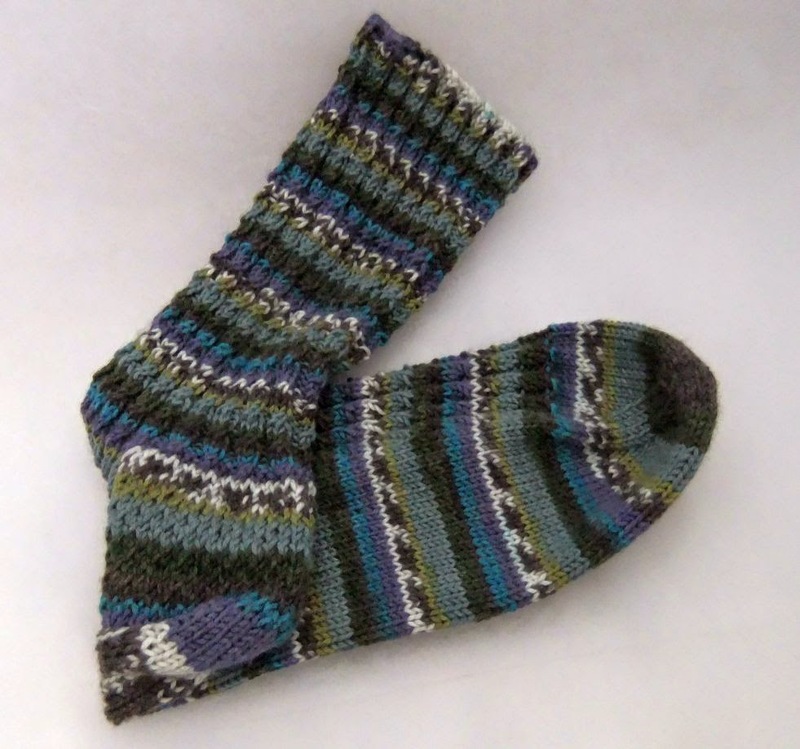 The yarn creates an almost fairisle effect in simple stocking stitch, but no such luck - he wanted a mock cable! The sole is stocking stitch though, see what I mean about the pattern? One sock down, one to go... last time I knitted socks with a multicoloured I missed a trick that I remembered this time. 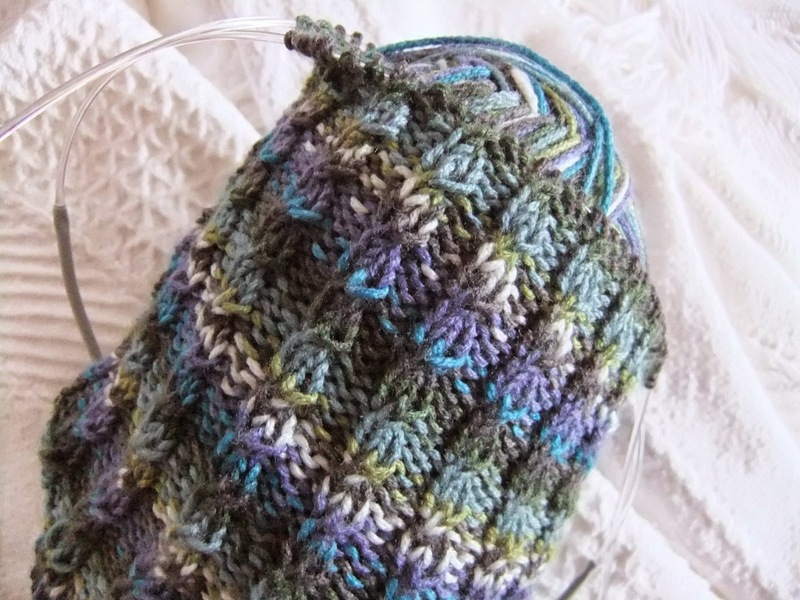 I unwound yarn from the ball until I found the same place in the colour sequence to cast on, to create a matching pair. It worked! I shall have my work cut out getting them back to wrap! No time to knit? Debenhams have gifts for men - and a big thank you to Debenhams from me for sponsoring my Christmas knit. Very smart! Not sure I'd have been so agreeable to the cable pattern on something so small! I LOVE that yarn!! !...and the socks too! ^_^ WWhat is the name of this yarn? !